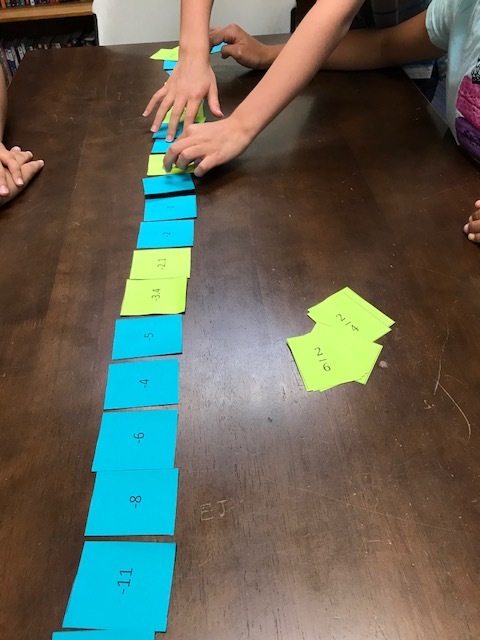 This is a great way to get your students into groups and assess their number sense, as well as their cooperation skills. I whipped up these cards with different types of rational and irrational numbers. 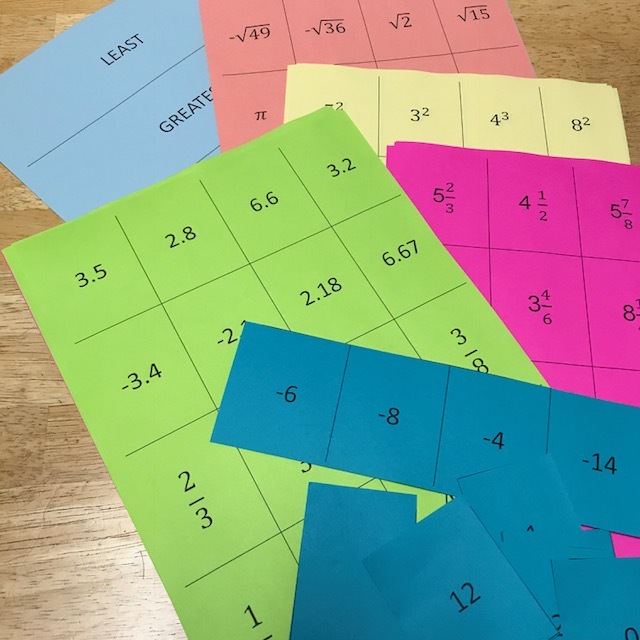 They are available for free when you click here, but you can easily make your own set if you want your students to work with different numbers. I copied the different pages on different colored paper, which made it easy to keep track of which types of numbers each group was working on. Irrational numbers, terminating decimals, etc. Put your students into groups. I put mine into groups of 3, so all of the students had a chance to participate. We were working at small tables, but if you have the space, I’d recommend long tables, or the floor. 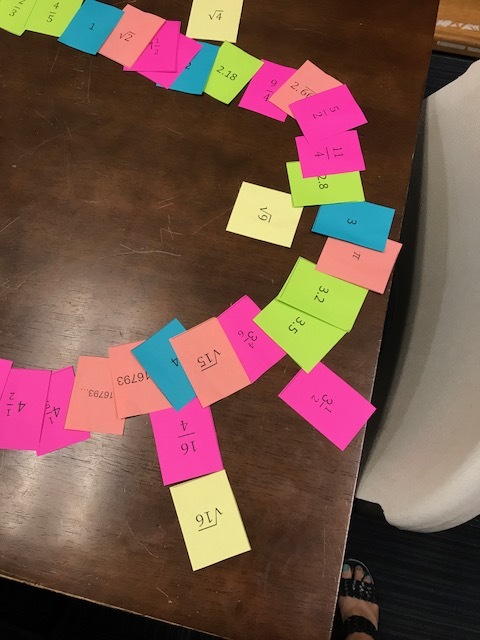 My students’ number lines ended up becoming curved because of a lack of space (although they thought this was pretty cool). Tell your students that the goal is to put the numbers in order from least to greatest. If numbers have the same value, they should go on top of each other so both numbers can be seen (for example, ½ and .5). 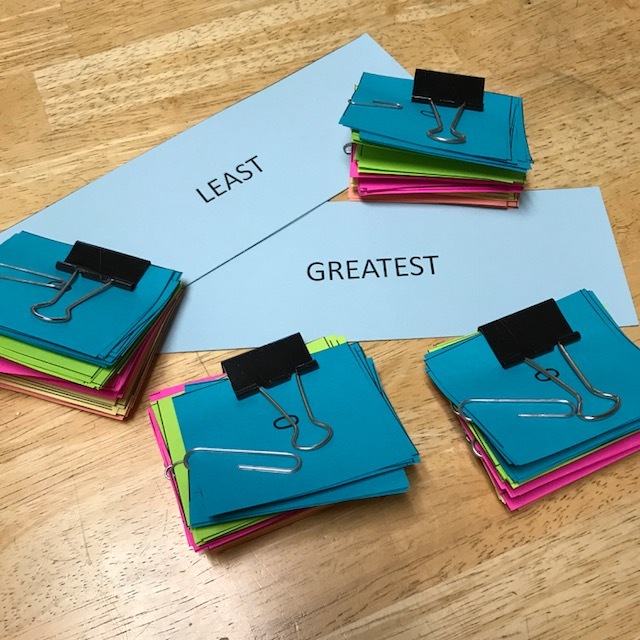 The shouldn’t tell you that they are finished with a set of cards until ALL of the group members can explain why the numbers are in a particular order. They are allowed to teach and explain to each other. Give each student the first pack of cards. I actually gave students half a pack at a time. For example, I gave the positive whole numbers, had them check in with me, and then gave them the negative whole numbers. If a group has a number out of order, tell them there is a mistake, but do NOT tell them what the mistake is. This will get the group members to think critically before they come back to have you check their work again. Groups will complete each set at different times, and some groups will get much further in the process than other groups. This is okay. Make notes as you walk around, observing which groups and students have limited or advanced knowledge of the concepts. I did this activity with a class of 5th, 6th, and 7th graders. Some fifth graders had never even been exposed to negative numbers, but learned the basics from their classmates, giving them excellent background knowledge with no direct instruction from me. If you have time at the end (we did this the following class day), ask students to talk about where they got stuck and different strategies they used. Most of my students stated that ordering fractions was the most difficult part. We discussed different strategies they could have used (finding a common denominator, converting all fractions to decimals, etc.). You can keep the packs of cards for future lessons, or to have students attempt the activity independently. You could also have students glue their final answers onto long, skinny pieces of butcher paper, and put these up in your classroom for future reference. Click here to sign up for our list. Receive monthly newsletters and access to our member-only Resource Library which includes the number cards mentioned in this post! We’d love to hear about how this activity worked in your class! Please feel free to leave a comment below! Please check your email. It may be in your spam. 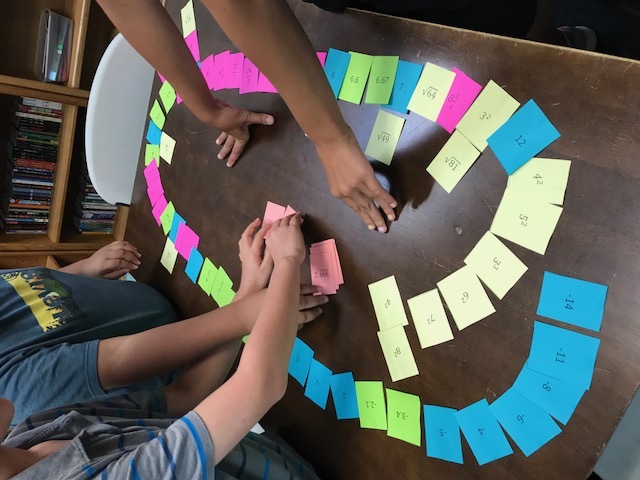 How can I obtain the Number Sense Cooperative Group Activity cards and instructions ? I cannot figure out how to download these cards. Did you check your email (and spam just in case)? The email provides from us provides the password that you enter on the “Free Resource Library” page. I used it with nine-graders and loved it! Students were really enthusiastic. I also saw that they need more practice with fractions and roots. Thank you! That’s awesome! I love that this activity can be used with a large grade span. We’re glad your ninth graders enjoyed!